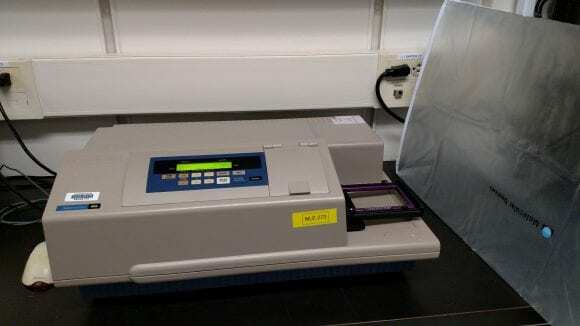 This is a friendly reminder that the plate reader is a shared instrument, and many researchers rely on it being maintained in good condition. While it is free for everyone to use, it is not free to repair and maintain. Please be courteous to your colleagues and take good care of the plate reader. Please close the drawer, turn off the instrument and the computer, and cover the instrument before leaving. Regrettably, I am unable to clean after facility visitors and check the plate reader area; and I thank everyone who helps to keep the plate reader area in my laboratory clean and tidy. This entry was posted in Instrument status, Plate reader and tagged plate reader, SpectraMax M5 plate reader on August 1, 2018 by Tania.